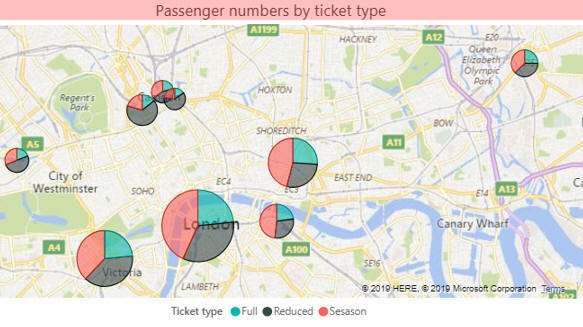 The report contains data on UK station usage in 2017-18, broken down by ticket type. The data is genuine! This is only a suggestion for how your map could look. 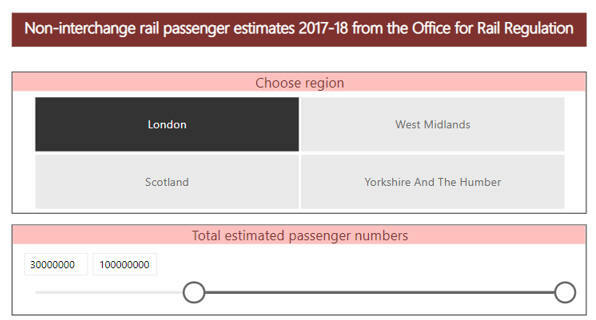 Make sure you display the Passengers column on your chart, not the Estimated Passengers one. 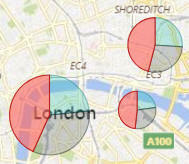 This shows that we are looking at Waterloo station (as it happens, the busiest station in the UK). If you use the Ctrl key to select these slices ... ... you should see the season ticket travel for the 3 stations in question. Save this report as Meeting your Waterloo, then close it down.